This conference is for everyone who is involved with local and sustainable food and farming in the Province. The conference (Fri & Sat) takes place at the College of the North Atlantic, 1 Prince Phillip Drive; Sunday’s On-Farm sessions take place at various locations in the St. John’s and Portugal Cove area. 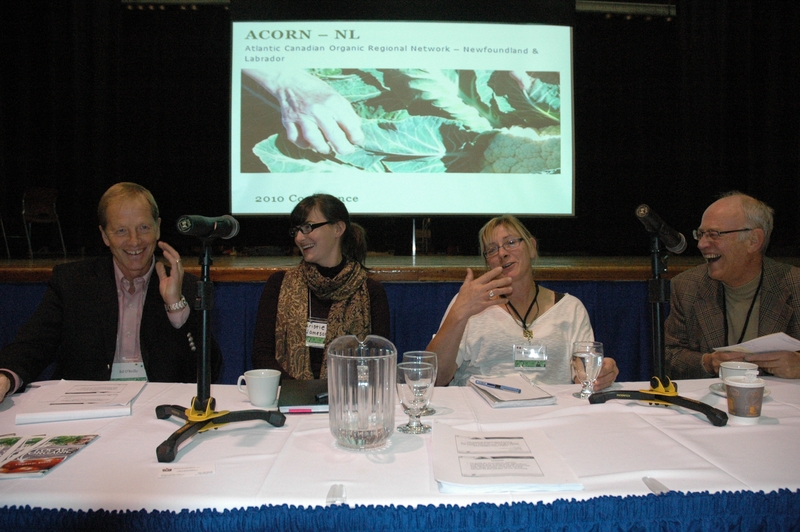 ACORN-NL will be hosting its 2010 Sustainable Farming Conference in St. John’s the weekend of OCTOBER 22th-24 th , 2010. •Sunday on-farm practical workshops at two farms in the surrounding area.